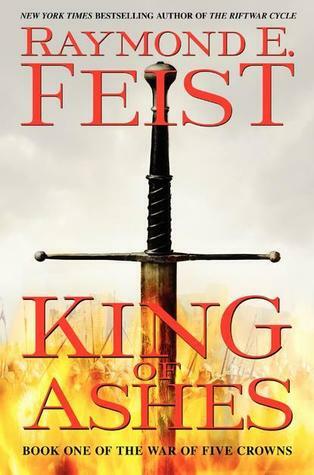 I had never read Raymond E. Feist before King of Ashes, but I found it to be a satisfying read, if a bit old hat at times. The book opens on the aftermath of a bloody battle. The monarch of what was once one of the five great kingdoms of North and South Tembria had just been betrayed by the other four kings, and now every single member of his family is being put to the sword. But in the chaos, a child was overlooked—a baby boy who was spirited away to safety in the confusion of battle. Since I’m not really big on the “here’s a weapon/piece of armor” motif for epic fantasy covers, there was really no contest this week! My winner happens to be a beauty too. I wish there had been more choices, that’s for sure. Yeah, I’m not really a fan of armor/symbol covers, I think that’s why French is my favorite. The cover you picked is certainly the prettiest though I don’t see a crown on it. I do quite like the one with the crown. I like the use of colour on that one. Nope, no crown on my favorite, but it’s pretty neat that on the UK cover one is front and center. Indeed, I also love how the light from the sun is illuminating it from the side! I agree, I usually laugh when I see a “sword” cover (sword taking up the entire space, usual spearing something). You just know a guy designed that cover! I love the last one too. 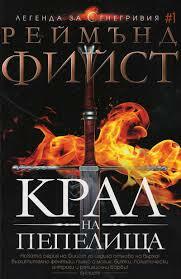 Yeah, “sword” covers are just so unimaginative! 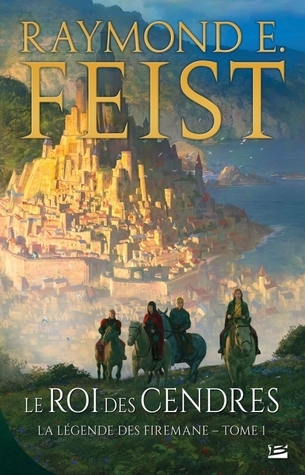 I have seen so many fantasy covers go this route though, and it’s like, did the cover people not have any other ideas? I think my favorite is the Harper Collins UK edition. Loving the black! Although I am not a fan of “symbol” covers, I have to say the crown on the black background is quite striking! Astonishingly I do prefer the Harper Collins UK cover! That one’s popular this week! See I do like “here’s a weapon/piece of armor” covers 😂 and I’m not a fan of “I’m obviously an epic fantasy” covers so I like the crown cover way better than the one you picked 😂😂 but I get why you like it! Haha yeah I’m the opposite because I like having something more to look at, but if you do love weapon/armor covers, I can see the appeal of the crown cover! I like that about it too, reminds me of those old painted covers! It’s a toss up for me between the French one and the HarperCollins one. 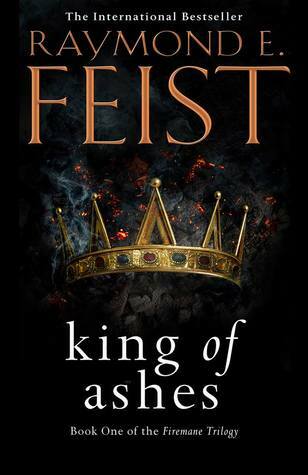 I’m not always a fan of swords or crowns on covers either, I usually like an illustration, but I do like that crown on black with the HC one. I know what you mean, even though I’m not a fan of “weapon/armor” or “symbol” covers, there’s something about the color combination in that one that really draws the eye. I really like the cover you went with here, it has such a classic feel to it. Quite lovely. Yeah, the classic feel of that one really wins out, in my opinion! Yeah, I love that French cover. It’s beautiful.